Door to Door Transport is unlike most auto transport companies. They are a well-established, family owned and operated business with 25 years of experience. Door to Door Transport prides themselves on their customer care and making each customer feel comfortable. They offer professional car transport services and affordable car shipping rates, with a promise to match or beat competitors prices. You can visit their website for a free online quote, or call them with your questions at any time. They are open 24 hours a day, seven days a week for your convenience. Door to Door Transport ships everything from cars to boats, and you have the option to have your vehicle transported in an open or enclosed carrier. You are guaranteed that the driver who picked your vehicle will be the same driver dropping it off to you at its final destination. Door-to-door car shipping makes it easy and stress-free for their customers. Their staff will give you live status updates while your vehicle is being shipped. Door to Door Transport holds one of the best on-time records. You will pleased to hear that there is no upfront deposit. And they even offer car shipping discounts for members in the military. This was my first time experiencing shipping a car to another state. I was terrified because of all the horrible stories I have read about the different auto transport services. So I did expensive research on about 10 different auto transport services. I was sold by the customer service team and their response to the numerous questions I presented. My car was picked-up as scheduled and arrived the way it was picked up 1 day earlier than expected! 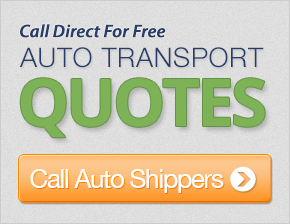 This company's representatives are truly professionals, and I will definitely recommend them to all that need auto shipping service. A job well done! Thanks a million! The customer support team was very helpful and kind. The service was fast, the pricing was great, and, out of the other 9 companies we had quotes from, they were the best. So, if I had to ship my vehicle again, it would be with this company. I will recommend you guys to all my military members and friends. Thank you! Customer service was responsive and had great information. He was very much on the ball. This was our 14th yearly move of a vehicle and our most pleasant experience. Thank you! Dealing with your company was a pleasure. Customer service was very helpful and professional. The person that picked up the car and delivered it was very polite. I would definitely recommend this company to anyone looking to transport their vehicle. The time-frame for picking up the vehicle was during bad snow storms. The driver was very easy to work with once he got to California. He got stuck in Kansas due to the bad weather, but always had an upbeat attitude! Vehicle was picked up very quick, though the transport time was not the fastest. Overall, it was a very pleasant experience and the best auto transport company I have delt with so far. Thank you! The timing quoted to pickup the car and the delivery time were far greater than the actual transit time. We got our car early and were overjoyed! We had a very friendly driver, thanks! Everything was handled very professionally, and it met all of my expectations. I was pleased dealing with customer support. We heard horror stories regarding car transport, but this was a good experience! Our customer support person was great to work with. I had been trying to get my car shipped for quite some time, and I always kept in contact with him - he was great. Customer service did the best job possible!